I wish to realize this engraving in mode dxf but I do not find the configuration to fill the text field. The engraving makes the tour of letters but not filled this zone. What is the good configuration? @marc54 DXF is a vector format, you can't have filled text as that would then be a raster job. The solution is to hatch the text to create a pseudo fill, from many vector lines (which is similar to what raster is anyway). You can do this in Inkscape. T2Laser supports hatch fill but it applies to all closed shapes which is not what you want in this case. How to do it with inkscape? 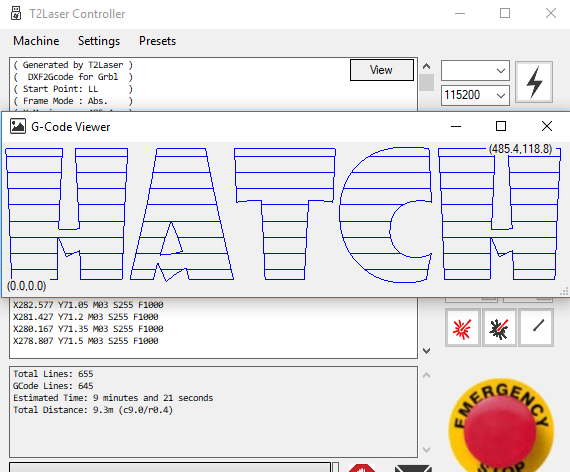 @marc54 There are several methods, the easiest is to install the eggbot plugin which includes hatching. 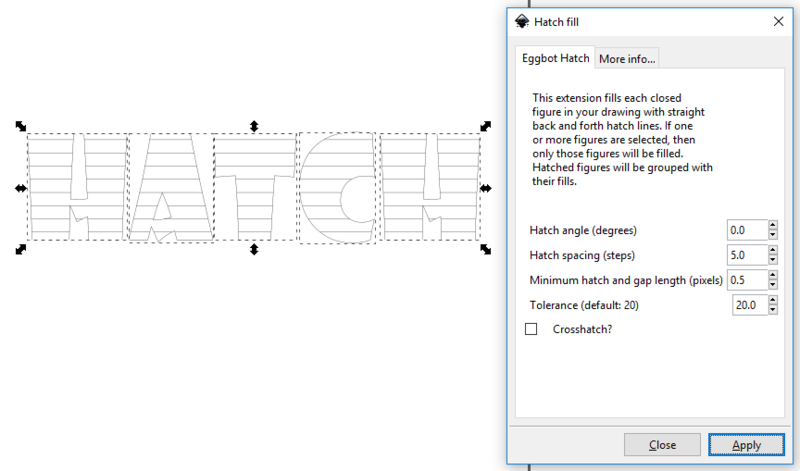 Obviously this is an example to show the hatch but you would set the spacing to the laser spot size, say 0.2 and the result will then be filled like raster. This is what T2Laser Hatch does but you only want to fill one shape and not all so the built in method although easier won't work correctly.